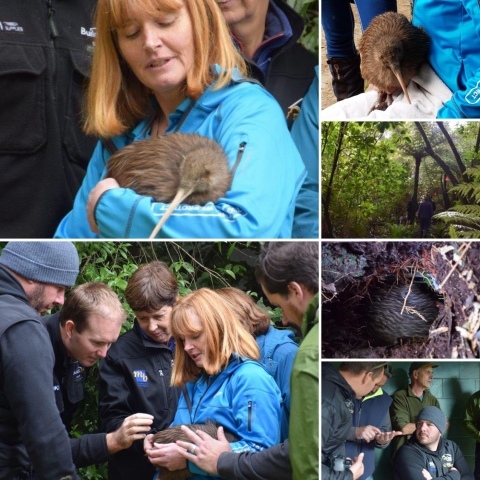 Kiwi Encounter at Rainbow Springs released Tahi to the bush and the team at Kiwi Homes celebrated 10 years of sponsorship by joining them. Tahi was the first chick hatched at Rainbow Springs which has one of the most successful breeding and release programs of Kiwi in New Zealand. He is now 30 years of age and has been released to the wild to help with increasing the natural breeding program. Kiwi Designer Homes are proud to support such an important conservation program and you too can be a part of this …….For every Kiwi Transportable Home built we sponsor you the client a Kiwi chick. You will receive a pack with the history of your Kiwi chick and a visit to Rainbow Springs in Rotorua.